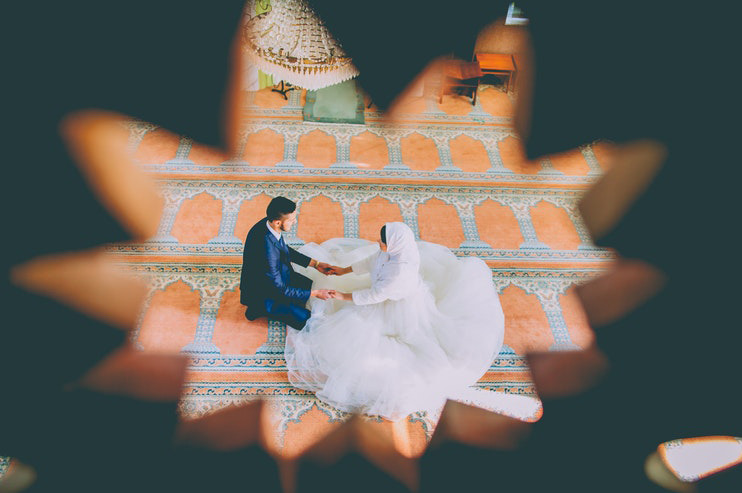 Allah has created the husband the protector and the most responsible person in the relationship of Nikah. Husband is better in rational thinking than the wife in many cases. This means that it is obligatory for her to obey him. The position of a husband in the bond of marriage is made in such a way that his wife must obey her and he should also aware of the responsibilities which are assigned to him by Allah. "Men are in charge of women by [right of] what Allah has given one over the other and what they spend [for maintenance] from their wealth. So righteous women are devoutly obedient, guarding in [the husband's] absence what Allah would have them guard. But those [wives] from whom you fear arrogance - [first] advise them; [then if they persist], forsake them in bed; and [finally], strike them. But if they obey you [once more], seek no means against them. Indeed, Allah is ever Exalted and Grand". Our beloved Prophet, Hazrat Mohammad (P.B.U.H) said that if it would be allowed to prostrate someone then he (Prophet Mohammad) would instruct the wife to prostrate to her husband. Prostration is for Allah alone, and even according to Hazrat Mohammad (P.B.U.H) it is not permissible to prostrate to anyone or anything other than Allah, either by way of greeting or by way of worship.